A Kindle for Ellie Potvin. 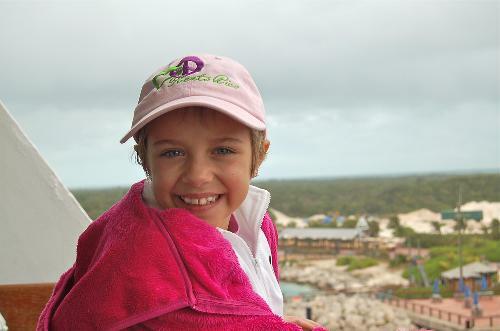 Ellie on 2009 Christmas Disney cruise, before beginning another round of chemotherapy. I’m sitting at the kitchen bar, looking out the picture window at the sanctuary dogs in their kennels, sprawled out upside down in the sun. Usually when I write, there’s noise or music; today, it’s the silence I feel most grateful for — the stillness it brings on a slow, desert Saturday that is mine to spend in whatever way brings peace or pleasure. Just the day itself is a blessing. I’m home and I can do whatever I want, perched near to those I love, my books, my dogs, my horses. Just to have my life to myself, forgetting my body because I have no pain, choosing where I sleep, eat, write and even what I see out my window — it’s all a blessing. Taking things for granted is a luxury. I compare this to Ellie Potvin’s Saturday. As they say, a picture is worth a thousand words. Ellie is a sweet, kind, 8-year-old girl with relapsed Rhabdomyosarcoma, a rare pediatric cancer she and her family thought they’d beat after over forty doses of chemotherapy. Amy Potvin, Ellie’s Mom, writes with joy of a laughter-filled summer full of love and fun, having graciously learned cancer’s lesson of living in the moment and taking nothing for granted, so thankful that their daughter, twin sister to Grace Potvin, fought hard and won her battle with cancer. 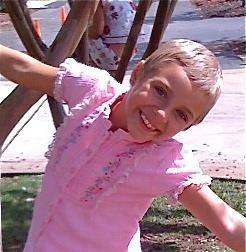 And then, the diagnosis in Fall of 2009: Ellie’s cancer had relapsed, and scans showed fast-growing tumors in her lungs and abdomen. I can’t explain why I am so touched by this little girl, this family. Perhaps it’s because they possess so much faith at a time so many would lose faith … and display so much grace and courage in the midst of a situation that would break the best of us and bring us to our knees. … or follow Amy Potvin’s twitter account: @amypotvin, riding the emotional wave from afar as this family is “in it to win it” against cancer. Looking on, a person can’t help but feel moved to do something. It was just a few days ago that I had the idea of getting Ellie a Kindle reading device. As I read about Ellie starting another course of chemotherapy, I worried about the days she’d feel too sick, tired or nauseous to distract herself with arts and crafts. With a Kindle, she could choose books her Mom could read to her, along with Amy Potvin having access to newspapers and other reading material, a.k.a, the world outside the hospital. 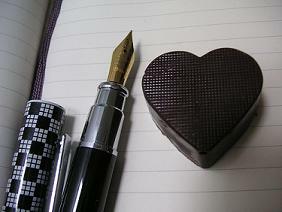 Such luxuries often recede to the background in financially and emotionally tough situations. My name is Emily Murdoch, and I’m hoping to speak to someone in authority that handles your Kindle device. This is in regards to an eight-year-old girl named Ellie Potvin, with relapsed Rhabdomyosarcoma cancer and rapidly growing tumors in her lungs and abdomen. The first three lines of chemotherapy haven’t worked, and she was just given a 4 week prognosis if the fourth line chemo she’s beginning doesn’t shrink or stop the growth of her tumors. For this chemo, Ellie needs to be in the hospital for a week each third week of the month, which means, away from her twin sister Grace, school, her friends, father and all that makes life bright for a child. She hates the hospital, but knows she’s sick. I’m looking to speak to someone who might be able to donate a Kindle device to Ellie Potvin so her mother can read to her while she’s in the hospital undergoing treatment and too sick from the side-effects of chemotherapy to move around or do crafts. 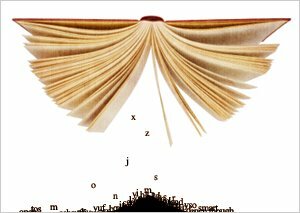 As book lovers know, a magical world lives within the pages of a book, capable of transporting people out of their immediate circumstances. While a Kindle device can’t cure cancer, it could bring some joy to hospital stays for a little girl facing the toughest battle of her life. I understand how difficult it can be to read or hear about this type of situation. But I do hope you’ll “pay it forward” and direct me to someone in the company who could gift this little girl with a Kindle, or lead me to someone who knows someone who could. Hi, I just saw your message. I will forward the message to Amazon. Ellie’s [Caringbridge] site is being spread around Facebook, Twitter, and Myspace through my friend (a doctor) who has many followers, so hope it helps. 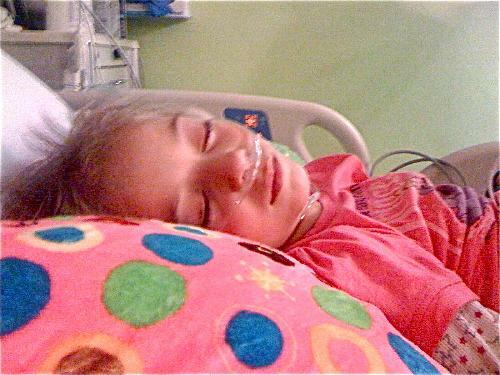 You can donate to #Kindle4Ellie through paypal.com to the email address: Kindle4Ellie(at)aol(dot)com. Most of all, the Potvin family and Ellie could use your prayers. Please help us #LiftUpEllie and join in the call for a miracle! A smile as wide as the world.